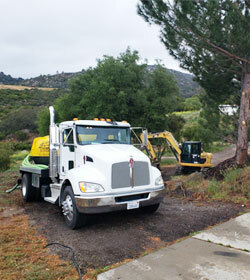 Sludgebusters Septic Service is the dependable septic company to call for all of your septic pumping needs in East County, San Diego. We have more than 30 years of septic system service experience, an excellent reputation, and an impressive 90% customer retention rate. 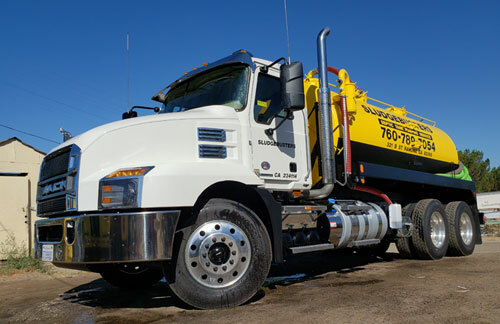 With our large fleet of well-maintained septic pumping trucks and highly trained staff, we’re able to serve clients throughout Santee, Jamul, Spring Valley, El Cajon, Ramona, Lakeside, Alpine, Lemon Grove, Julian, Borrego Springs, and surrounding areas. In addition to regularly scheduled pumping service, we also provide fast, 24-hour emergency pumping service for residential septic systems and commercial septic systems, such as car washes, water treatment plants, breweries, and waterjet cutting companies. Call today to tell us about your septic service needs in Santee, Jamul, Spring Valley, or other nearby community. All of our work is done to code, and our vehicles are inspected annually by the San Diego Department of Environmental Health. We are licensed and insured, and committed to providing exceptional value through expert workmanship, superior customer service, and affordable rates. Sludgebusters Also Offers Santee, Jamul, Spring Valley, El Cajon, Lakeside, Ramona, and San Diego the Best Value in Porta Potty Rentals! If you are looking for clean and affordable porta potty rentals near Santee, Jamul, Spring Valley, Lakeside, Ramona, El Cajon, or anywhere else in the San Diego County area, call Sludgebusters. 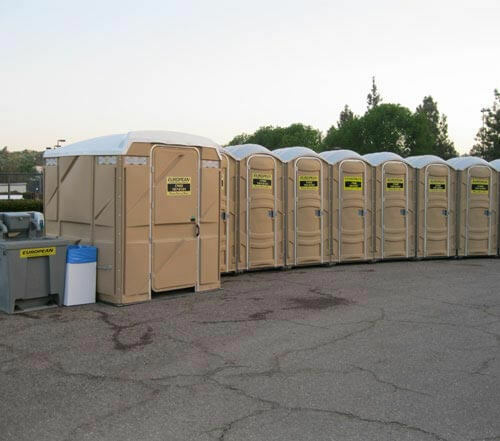 For events, races, constructions sites, sports venues, parks, wineries, and food festivals, we have standard-size porta potties and handicap-accessible, ADA-compliant portable toilets and comfort stations. For VIP clients, weddings, and high-end events, we offer larger sized portable toilets with built-in wash stations, as well as Nu Concept deluxe solar portable restrooms that feature a flushing toilet, solar lights, running water, vanity, hand soap dispenser, and built-in trash receptacle. Finally, for those who have a mobile operation, such as a multi-site relay event or a job site that spans a very large area, you can rent our trailer units which allow you to easily transport the portable toilet as you move from one location to the next. 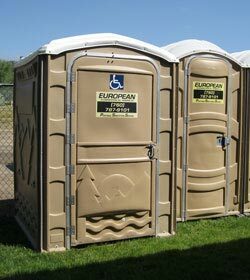 Call to book your porta-potty rental today -- we offer short term, long term, and permanent rentals. Unlike most other septic pumping companies serving Santee, Jamul, Spring Valley, Lakeside and other East County communities, our drivers do more than just clean and pump out your tanks. We’re also able to recognize potential septic system problems, and provide cost-effective recommendations to address them. For some clients this might mean increasing the frequency of their pumping schedule to accommodate increased usage, but for others this might require a more thorough inspection so that we can determine what repairs are required. 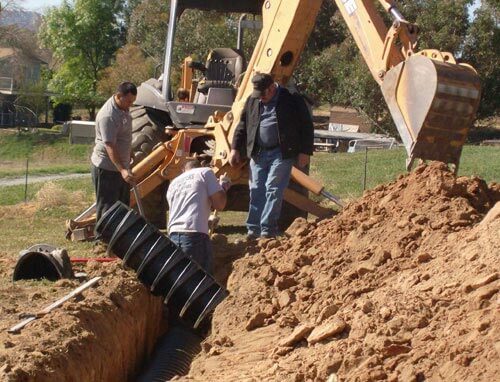 Common septic tank repairs include leach line additions, a leach field extension, riser repair, riser replacement, concrete re-pours, tight line repairs, and leach line and outlet fitting replacements. If the septic tank itself is beyond repair, we also provide complete septic tank replacement services. We sell and install septic tanks from trusted brands, such as Jenson, Infiltrator, and B&G Fiberglass, and stand behind our workmanship with a one-year labor warranty. 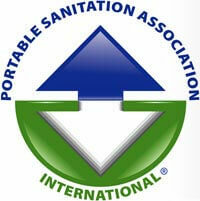 Additionally, Sludgebusters excels at modernizing and upgrading septic tank systems. Our work ranges from extending leach fields to adding additional tanks to an existing system. Call today to tell us about your needs.